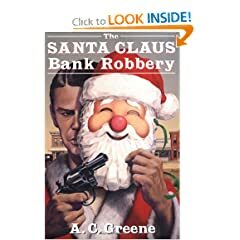 Santa banned from visiting children! Santa Claus was prevented from giving presents to the imprisoned children of asylum seekers at the notorious Yarl’s Wood detention centre by private security guards. Yarl’s Wood is a privately run prison whose inmates are UK immigrants who arrived seeking asylum, but whose claims have been denied. For the full story and video, click here. Thanks to our official news correspondent Anne for sending this along to us! 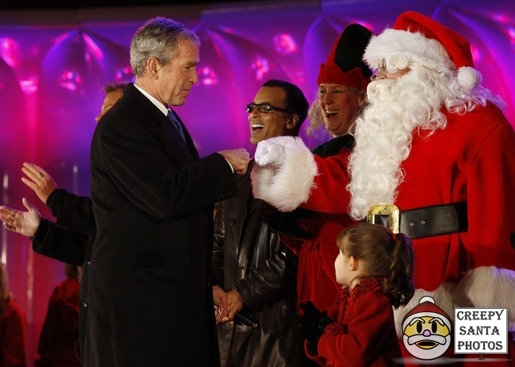 George W Bush & his family celebrating Christmas through the years. DO YOU RECOGNIZE THIS BANK ROBBER? Of course you do- it’s Santa Solo! 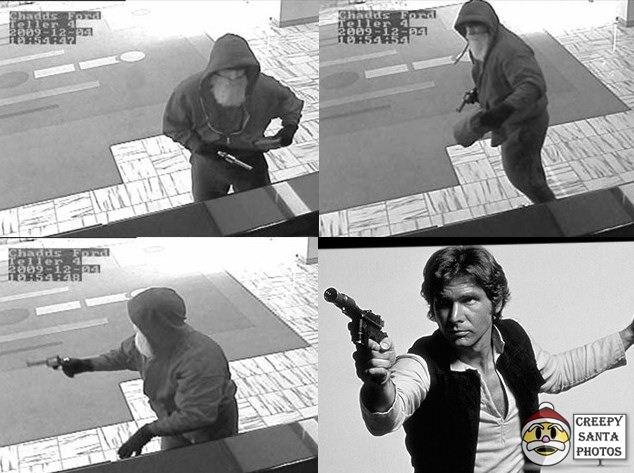 But seriously folks, “Pennsylvania State Police are asking for the public’s assistance in identifying a suspect who dressed as Santa Claus when he robbed a bank in Chadds Ford Township.” More on this story here. Thanks to our Official News Correspondent, Anne, for the link! Elf jailed over Dynamite hoax! 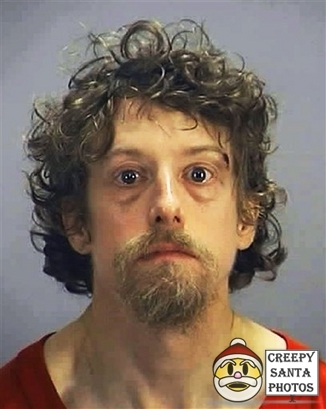 MORROW, Ga. – A man dressed as an elf is jailed after police in Georgia say he told a mall Santa that he was carrying dynamite. Police say Southlake Mall in suburban Atlanta was evacuated but no explosives were found. Click here for more.